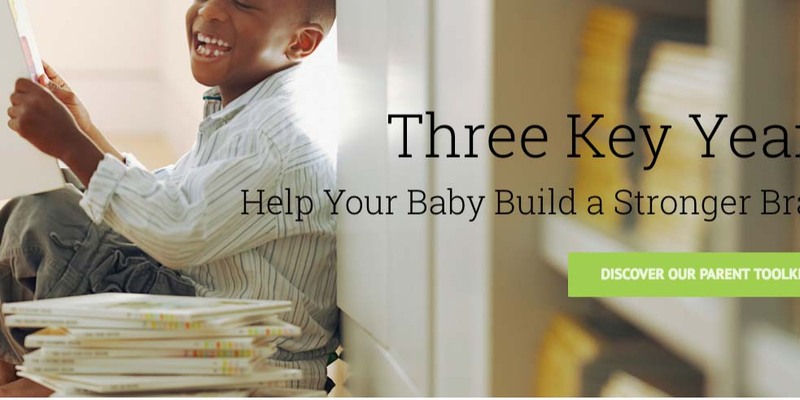 This Three Key Years website was created to help new mothers and new fathers have important tools and information they need to personally help with the very best support for both brain development and emotional development for their children. Very few parents are aware of how extremely important the first months and the very first years are for the development of their children. The issues and the opportunities for each child are biological—and they are the same for children from every economic, ethnic, racial, and cultural group. We can make a huge difference in the lives of children from every group if we do things to help every child in the first weeks, months, and years of life for each child. The things that have a huge positive impact on each child are basic and simple. This is not a complicated or complex process. We need to talk to children from the time they are born because talking to children excites and exercises their brains and talking directly to a child actually creates millions and billions of neuron connections in the brain of each child. Talking has huge value that most parents do not fully understand. Talking to a child from birth on has the power to change the life for each child. We have done a horrible and almost criminal job as a society in not teaching that very basic information about the direct value of talking to children to every parent of every new child. All parents love their children. All parents want their children to do well. All parents want their children to prosper and thrive and to learn. We now know from wonderful new science that parents can help their children do well by simply talking to them in direct, soft, and loving ways from the very first days and weeks of life. Some people believe that education begins at kindergarten. Those people who believe education begins at kindergarten are absolutely, clearly, dysfunctionally, and even dangerously wrong. Education for each child begins at birth—and parents (or other immediate caregivers)—are the first teachers for each child. Parents are the core of the teaching process and parents are the core of the immediate education reality for each child. So we need to help parents do that job. Parents can’t do the very best job as teachers for their child if we don’t very clearly and effectively teach every parent that their child will build a stronger brain and that their child is more likely to be happy and healthy as well when parents simply talk directly, extensively, and in loving ways to their children in those first weeks, months, and years of life. Talking is not just a way to pass time or a fun thing to do with a child. Talking actually causes neurons to connect in the brain of a child and children love it when they have parents and other loving adults talking directly to them and their neurons are connecting. Children love to build strong brains. Children love all of the interactions with loving adults that build strong brains. We need to teach that information about talking and strengthening brains to every family and to every parent so that it can make a difference in the life of every child. We also need parents to read to their children at a very early age. Children love books and reading and children love having adults they trust reading books to them. 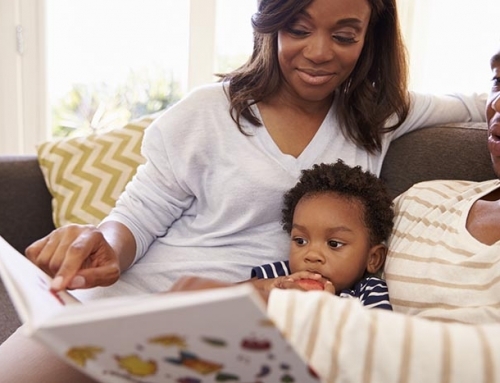 Book reading in those key years also builds stronger brains and it teaches children the connections between pictures and symbols and that written words have meaning. Over half of the families whose children face major learning gaps in the high schools of our country did not have a single book in their home in those first months and years of life. Those children with no books—and with few words spoken directly to them—fall behind the other children in our communities by age three. Several important studies have shown that to be true. We know from the learning gaps we see in too many schools that the children who have fallen well behind by age three tend to never catch up. We need to help all children before those gaps start at age three. We need to teach the value of reading to children and the value of talking to children to every parent even before each child is born—and we need to make books available to every child in every setting. Any programs that get books to children in those years are good programs to support. Do what you can to get books to children who need books. For families where the parents can’t read themselves, we need other people from the family of community to read to the children. Also—and this is very important—it is also very good for the child when any parents who can’t read still use books as a tool for telling stories to their child about the information that is in a book. 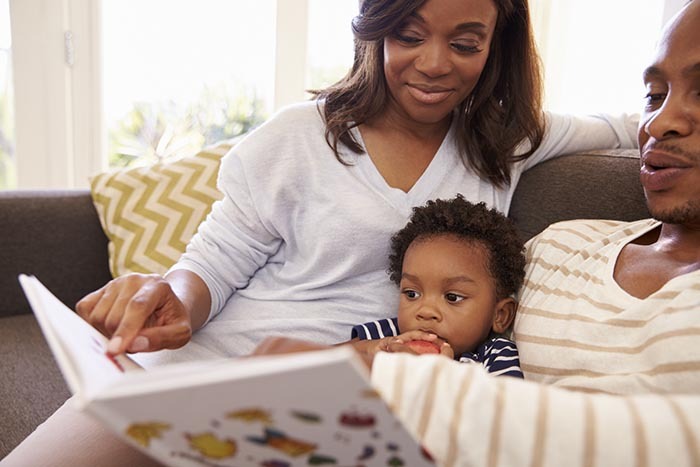 That story telling process by a non reader with a book in hand is far better for a child than no books at all—and it can also be a very positive experience for the parent of that child. Every language works to strengthen brains. All languages work to strengthen brains. Multiple languages used with a child can make the brain even more capable and stronger. Too many families who do not have English as a first language use only some English words and some chose to not speak the family language at all to a child. Actually, using multiple languages is a very good thing and it strengthens the brain of the child. We now know that you can help each child by speaking to the child in every available language and by giving the child strong multi language learning experiences. Children are all geniuses at learning languages in those very first years of life—so using that genius with two or more languages spoken to a child is a very good thing and it is even better when the children hear a lot of words from all languages in those first years of life. Many words should be spoken to each child. We also need all parents to know how extremely important it is for them to count with their child. Numbers and counting also build strong brains. Teaching basic numbers to a child builds that part of a child’s brain in important ways. Parents should count things with their children from those very first years. “How many apples are in that basket?” is a wonderful question to ask a child that builds brain connections and creates learning levels about numbers for each child. We could close the learning gaps about numbers that exist in too many of our schools if all parents taught their children to count, to recognize numbers, and to do some very simple adding and subtracting conversations well before age three. We need to do that all in the very first years of life. Three years are golden. The brain of each child actually goes through a pruning process at age four that determines future capability levels for each child. Pruning happens on a natural cycle. The lovely Harvard Center for the Developing Child animation video linked to the video section of this website explains that development and pruning process in some detail. We need to teach every parent and every family all of the wonderful things that can be done in the first months and first years for each child. This website teaches those processes. It also strongly encourages breastfeeding for each child because breast feeding has the perfect nutritional levels for each child. Breast feeding also creates emotional security and builds emotional connections and bonding opportunities that are special and have very positive impacts for both mothers and children. We should encourage and support mothers in that process. There are links to breast feeding coaches and advisors from this website. The best new science is teaching us that the first hundred days of life have some newly discovered epigenetic processes that can be enhanced for each child by being breast fed for those weeks and months. Even a couple of months of breast feeding is a very powerful thing to do to help a child get a good start. The goal of this website is to help children. The goal of this website is to help children from every group to get the best start in life. The goal of this website is to make it easy for parents and families and even communities to do the right things for their children. This website is anchored on the book, “Three Key Years“. The “Three Key Years” book was also produced by the Institute for InterGroup Understanding and is available for about ten dollars from Amazon. It can also be read free on the InterGroup website or downloaded for no charge from the InterGroup website. “Three Key Years” is a basic, direct, and useful book. Give the book as a gift to new parents if you want new parents to have happier, healthier, and smarter children. The Institute for InterGroup Understanding created both the book and the website because the Institute is working on issues of racism, prejudice, discrimination, bias, and inter group anger distrust and conflict for us as a country—and it became very clear early in the process that we will have a hard time creating and maintaining inter group Peace if we keep putting so many minority Americans in jail. Children who fall behind by age three are much more likely to drop out of school and much more likely to go to jail. That is a sad and grim truth—and the data about those linkages is both clear and un-contestable. The four other InterGroup books that deal with discrimination, racism, dangerous instinctive inter group behaviors, and our national history of inter group anger and damage all describe the situation we are in as a result of those centuries of discriminatory inter group behaviors. One aspect of that situation that we all need to understand is that a minority American male who drops out of high school is actually more than sixty times more likely to be in jail in his thirties compared to our national average rate of incarceration. Chapter Nine of the Art of InterGroup Peace book—also available for free reading or down load on the InterGroup website—deals directly with the link between the need to help all children from all groups in those first key years as part of the pathway we need to follow to get to inter group Peace in America. We are blessed, today, with an explosion of wonderful new science about child development that points us directly and clearly to those first months and years for each child as the time to have a huge, positive, lifetime impact on each child. This website has easy linkages to some of that wonderful new science and to those wonderful experts and their teams. We do not need all parents to be neuroscientists or developmental psychologists—but we do need all parents to harvest the wonderful fruit of that beautiful new science and we need all parents to have the direct interactions with their children that will give and support the best life trajectories for their child. That work was worth creating a website to do. We want to help children. It is a wonderful thing to change the life for a child. Every child we save is—at a very personal level for that child—a life we save. Saving a child is a wonderful thing. Please—make that a thing you personally do for a child. Pass this website on to the right person and you, personally, could change the life trajectory in a wonderful way for a child. We really need to help our children. Children are being born right now as you read this sentence. Those children who are being born right now will have life paths that are determined by the people who are in their direct world and who will give them the experiences that will structure their lives. Let’s use this information in smart ways to help every child. Welcome to the website and welcome to the movement to give all of our children better lives.